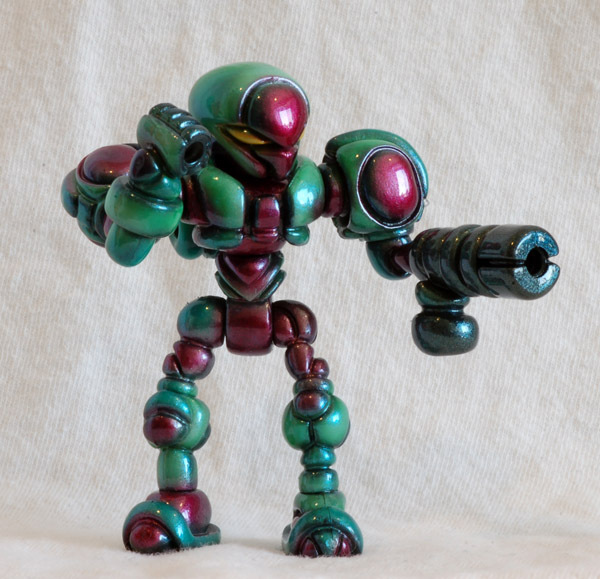 Killer Culture Antimacrobial Microfighter Real Type 3″ resin one-piece figure painted entirely with acrylics. 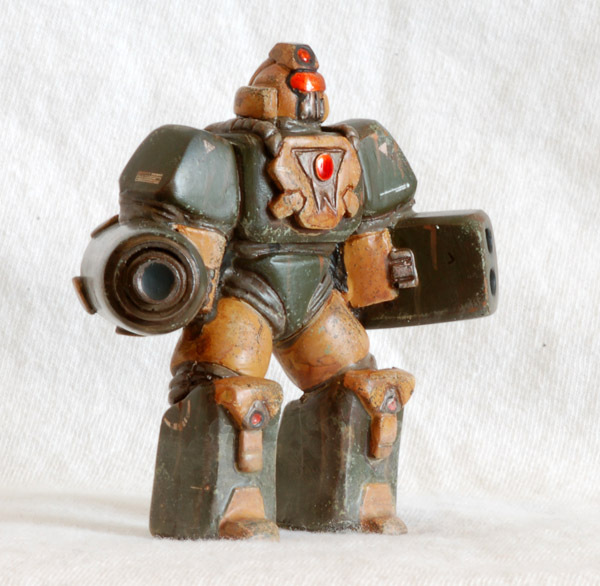 Given a ‘realistic’ Real-type army color finish with heavy weathering, decals, and wear. Sealed with gloss for protection and then given a matte varnish finish. One-off. 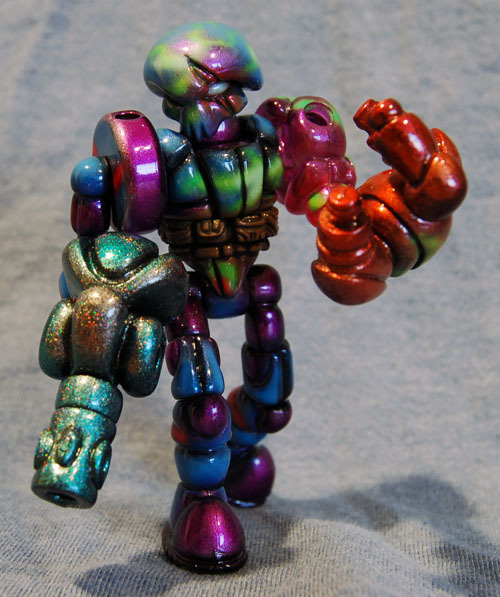 Glyos Biotron Exellis Fully painted with Monster Kolor with shading and highlighting. Subtle Moondust application on the white to give it a real toy-sheen. Glyos Res-Que Pheyden Fully painted with Monster Kolor with shading and highlighting, panel lines, a heavy coat of Moondust for an awesome finish, and a glow in the dark weapon and power disk on back. Glyos Gobon Interloper Clear parts for everything besides the legs fully painted with Monster Kolor C-thrus and given a color change flake coat. Lights up like glass in the sun (check out the original post linked at the beginning of this). Features a specially modified neck to accept the larger Gobon head on the small neck spot, and a green Phase Core inside the belly. Glyos Sarvos Ranger Fully painted with Monster Kolor in my new ‘Ranger’ scheme featuring multiple green shades and highlights, clear red over silver, and a Jade pearl coat. Glyos Ceekoar Guardian Fully painted with Monster Kolor, pearls, flakes, shading and highlighting, clear parts and C-thru paints on the arm weapons and chest cannon. 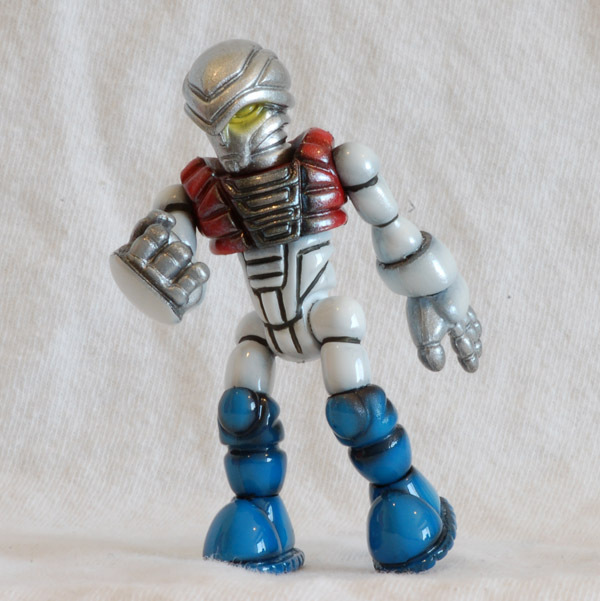 Glyos Blighted Ceekoar Scar Pheyden: $30.00- SOLD OUT! 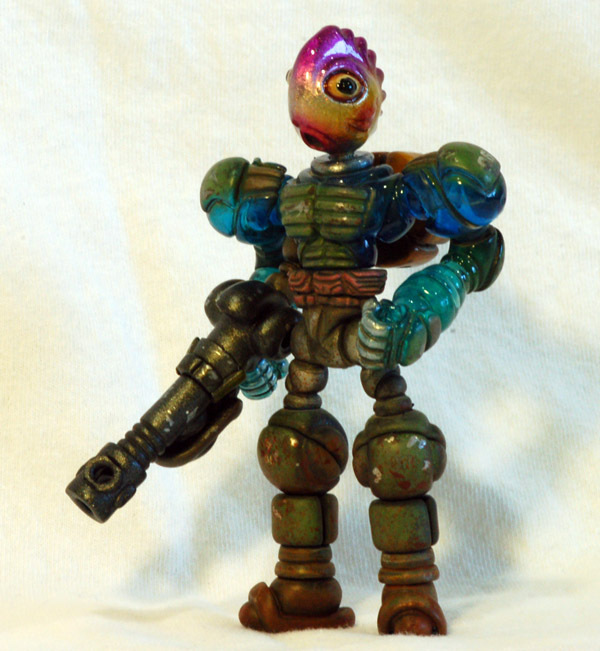 Glyos Blighted Ceekoar Scar Pheyden: $30.00 Fully painted with Monster Kolor, pearls, flakes, shading and highlighting, clear parts and C-thru paints on the arm. 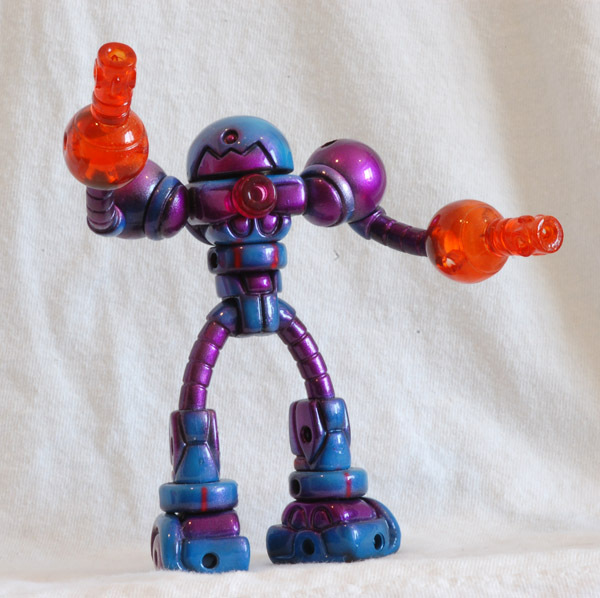 Glyos Aquoid Merc: $35.00- SOLD OUT! 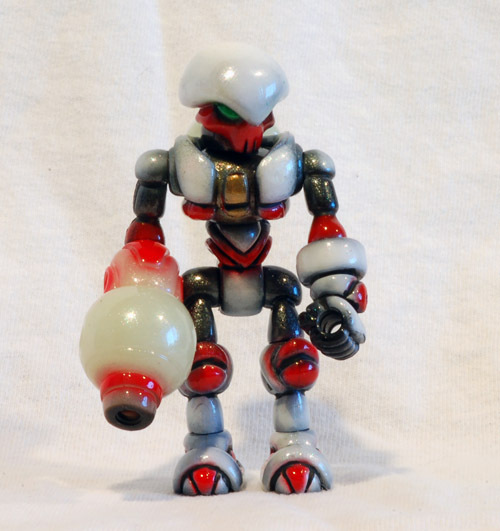 Glyos Aquoid Mercenary: $35 Featuring a test-shot metal head cast by Phil Reed of The God Beast‘s character. 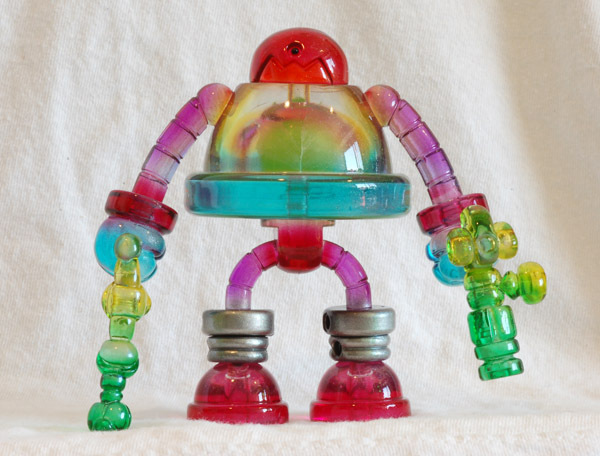 Clear upper body, painted with Monster Kolor. Waterslide decals, and acrylics, oils, and weathering pastels for the weathering. 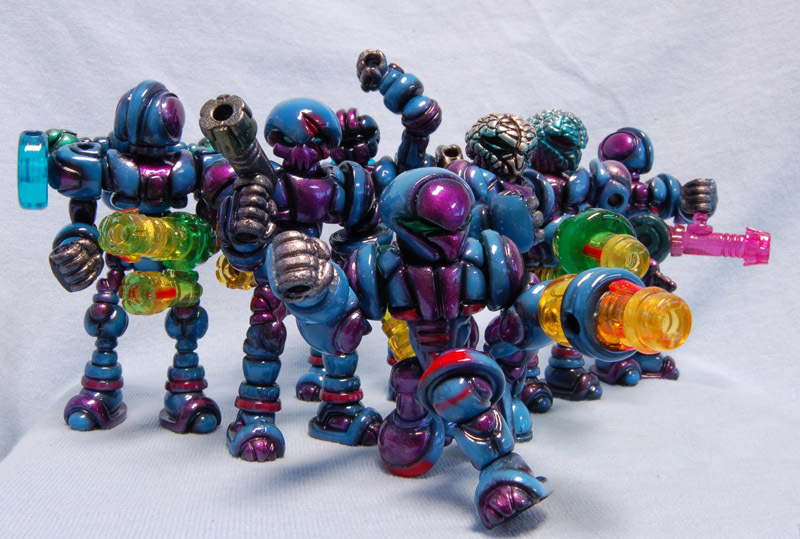 Each Ceekoar Glyos figure is made from a variety of parts and painted exclusively with Monster Kolor. They are all still fully posable and clearcoated for maximum durability. They feature glass-clear weapons and accessories, pearl effects, and color change flakes. Be sure to read the Mystery of Ceekoar comic to get the story! M1GO Garamon. Red vinyl given a loose vintage style paint job with modern, bright colors using genuine Monster Kolor. Directional sprays add a ton of depth to the texture of the ‘fur’ Sealed for protection, and then most of the figure was given a matte finish to maintain the vintage style feel. Stands 8″ tall (standard sized short).